Peter Rogers Home Improvements Ltd - Fascia/Soffits/Guttering, Roofer, Windows/Doors/Conservatories based in Little Plumpton, Lancashire. PR Home Improvements offer a full range of roofing services for the domestic sectors, with vast knowledge and experience in the roofing industry. 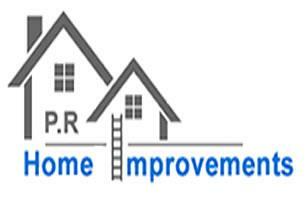 PR Home Improvements offer both reliability and reassurance. Whether it's a full roof installation, maintenance work or general roofing repairs PR Home Improvements offer accredited roofing services. Our reputation is very important and we take great care to ensure the finished project is to a high, professional standard, that we would want on our own homes. We take great pride in our workmanship. See our feedback to find out what other people have to say about us. Whatever your roofing needs, Call us today on 01253 806987, 01772 970278 or 07501 896517.